Choosing from Free and Premium website templates can be a challenging and demanding task for those who want to create a website. The amount of webpage templates that are available nowadays can be bewildering and confusing, so you can spend much time searching for your ideal template. To help you make your choice, let us consider the possibilities that you have. You can choose from a variety of website layout options and enjoy editing your website in order to customize it to your needs. Different gallery images that correspond to the topic of the template can be provided for your use within the template, so you have a possibility to arrange your website and present necessary information in various ways. Premium templates are usually responsive, so they easily adjust to various kinds of screens, and you do not have to worry what device your visitors are using to browse your website, because it will look impressive on all screens. The content of the webpage can be easily edited using a code editor, but if you need any help with the process of crafting and editing your page, there is always 24/7 support team to answer your questions and to solve your problems. So, if you are running a business and wish to create a webpage of your company, you can browse various website templates by the topic and opt for the one you like most of all. If you want to find out more about the TemplateMonster team, you can watch a video. Secondly, if you are unfamiliar with HTML coding and that is why you are not sure if you can cope with the process of creating a webpage, you can try free website templates. 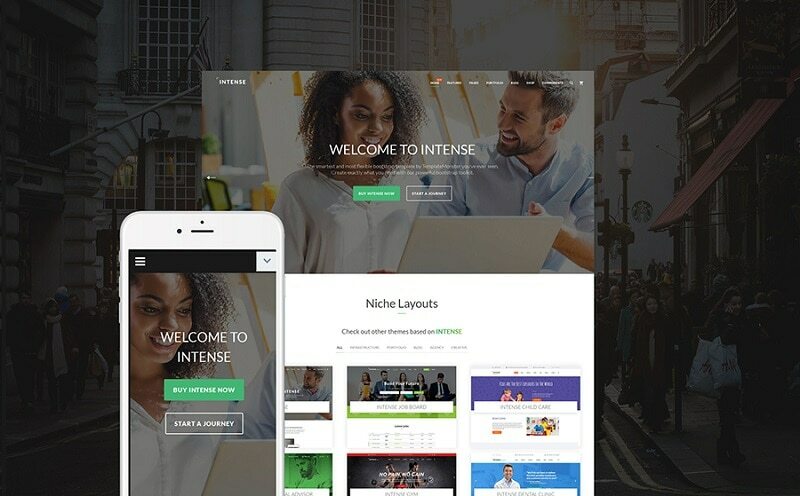 If you are a professional, but you are not fully convinced which Premium template you would like to buy, you can download and try a free website template. You will see how it functions and what options it includes. However, you should be aware that free templates are only for your educational purposes, so there are some conditions and limitations. You are not allowed to use free sample templates for commercial purposes. In other words, you may not sell them or use them as online stores or projects and portfolios. Do you still have doubts what type of templates you prefer? Here we list top 15 free and premium website templates, so you can explore them and make your choice. You will be amazed with unlimited possibilities of this HTML template of all times, as it includes 10 Home Layouts and Demos, 13 Header and 4 Footer Styles, more than 10 eCommerce Shop Templates, more than 30 Blog Templates and more than 20 Portfolio Templates. 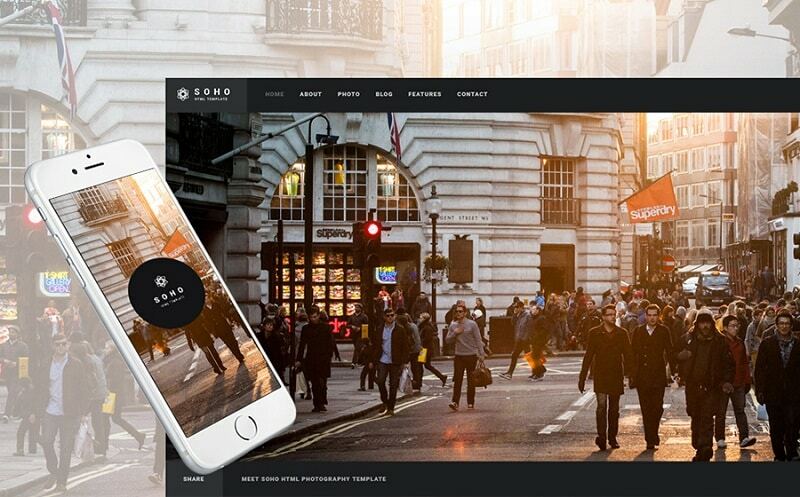 With various skins and colours, hover effects, Touch Swipe Photo Gallery, and advanced Video background you can change the style of your site endlessly. Your customers will be impressed by the powerful navigation with Mega Menu and Dropdowns, as well as complex social integration and working search engine. This Multipurpose Responsive template is a part of Intense family and is characterised by increased efficiency, as it includes Immense UI Kit, over 40 ready-made HTML5 pages, and 5 Blog layouts. 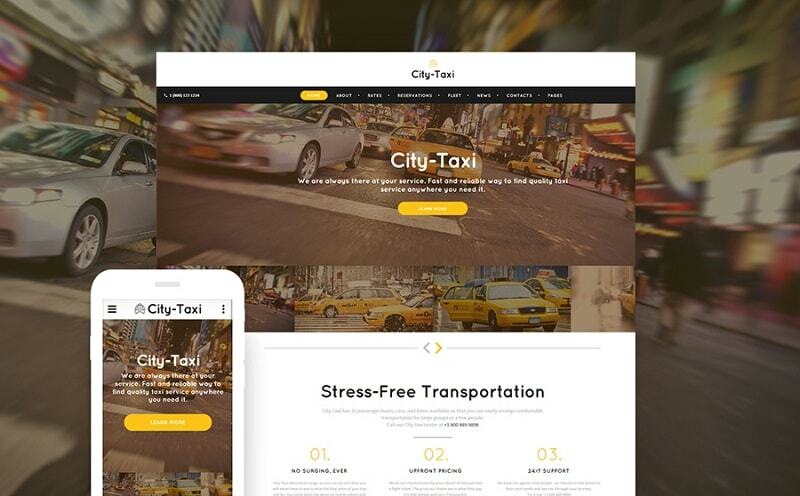 In addition, your customers will enjoy amazing Parallax effect and the effectiveness of the Booking form, Contact Form, and Newsletter Subscription embedded in this template. This responsive template features a useful Dropdown Menu and Back To Top Button that make the process of browsing your website easier. Your visitors can also find Contact Form a useful characteristic to stay in touch with you. Being a Premium Multipurpose HTML5 template, it is a most flexible Bootstrap theme that features Novi Builder, a page composer to create your site easily, Widgetized Mega Menu, Sticky Menus, working Search Engine and Ajax Forms. 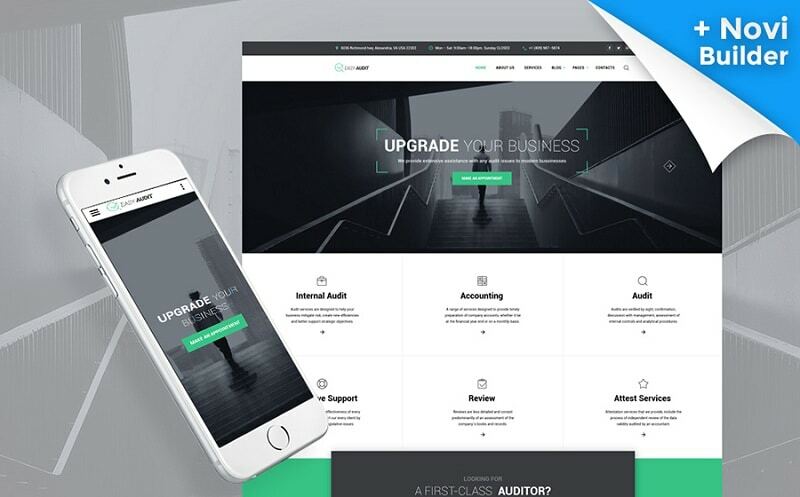 You can choose from numerous layouts, including Tax Adviser Template, Lawyers Template, Insurance Templates, as well as Blog and Portfolio Templates. The Rich UI Kit, which is a part of this template, includes over 50 ready-made HTML5 pages with multiple header and footer layouts, as well as multiple Gallery types. Responsive layout built with Bootstrap 3.3. and Parallax will create an impressive effect no matter what you wish to present. If you are interested in an animated website, you can try this template that allows you to edit “your Company Name” text, titles, and the content text. You get 7-15 hi-res stock photos & images for free life-time usage, and you can also replace the template images with your own ones. This multipurpose HTML template with Rich UI Kit contains over 25 ready-made HTML5 pages and astonishing multiple Gallery types to acquaint your customers with your goods. 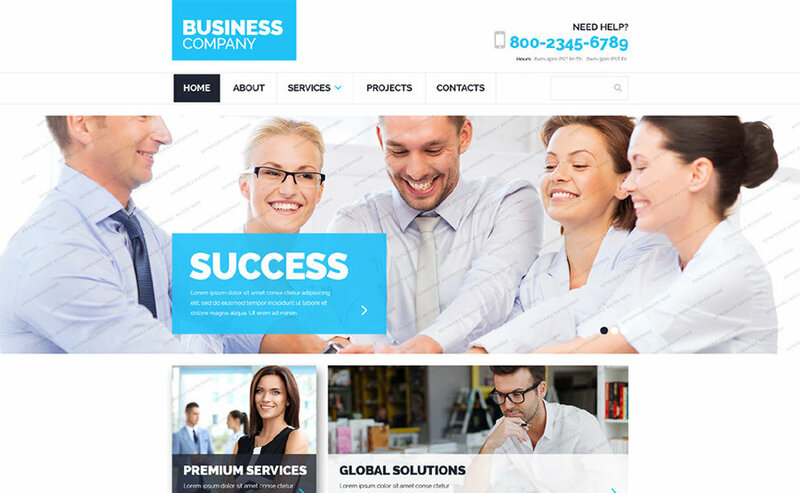 This eCommerce page template with a Contact form will help you run a successful business. 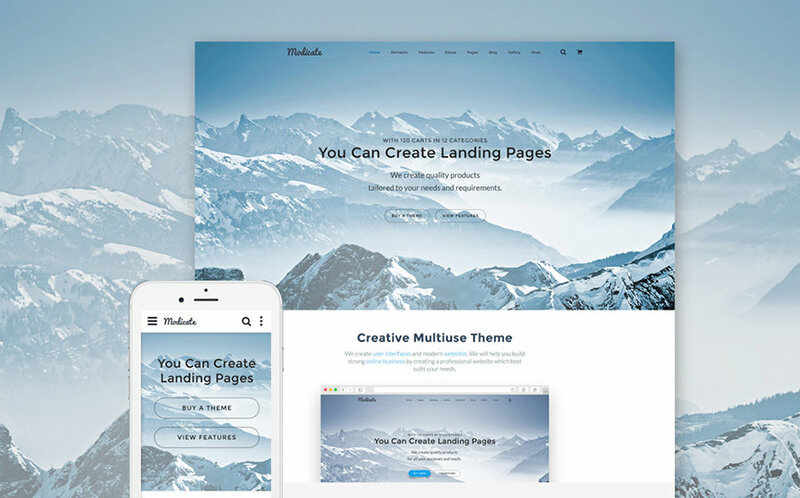 This incredible website template with more than 17 Home Layouts and Demos, 10 eCommerce Shop Templates, 30 Blog Templates, and 20 Portfolio Templates creates unlimited possibilities for running any company’s website. Your visitors will appreciate the templates’ features, such as Powerful Navigation with Mega Menu and Drops, smooth Parallax scrolling, advanced Video Background, complex Social Integration, and many more. 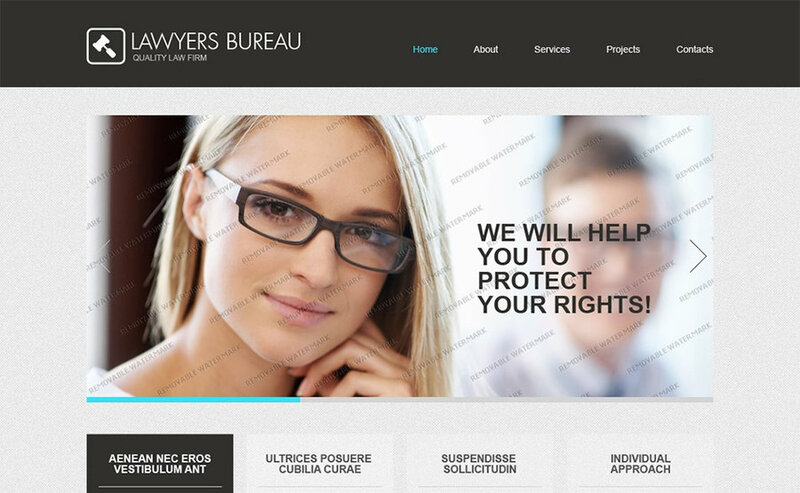 This responsive website design ensures a quicker and easier page editing, as it is built with Bootstrap. 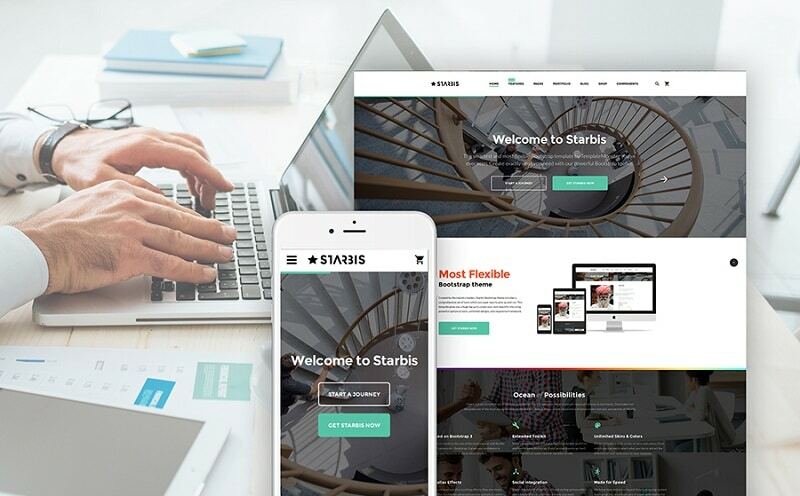 Being a part of StarBis Family, this Multipurpose HTML template features Novi Builder, over 35 ready-made HTML5 pages, 5 Blog Layouts, Multiple Gallery Type, and Rich UI Kit. You will be delighted by the Appointment Manager and Working Contact Form that promote communication with your customers. This template embeds Masonry Portfolio and Gallery, Ribbon Gallery, Portrait formats, and Gallery Albums that offer a wide range of options to showcase your works. You will find the advanced version of a custom fullscreen slider, which supports photos and videos, particularly useful. This HTML plus JS animated template efficiently gives Flash-like effect without using Flash at all. The HTML editor makes all customization changes of your website easy, thus saving your time and efforts. 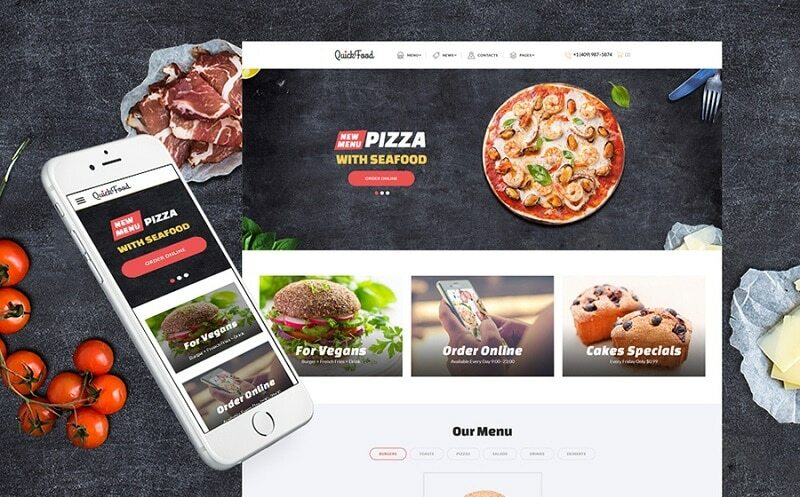 Containing over 35 ready-made HTML5 pages, this magnificent template can boast of various kinds of menus, including a classic and a modern menu, different headers within layouts, and such additional features as Member Profile, Deals, Careers Pages, and Newsletter Subscription Form. Multiple Gallery types and Parallax effect will create a lasting impression of your webpage. If you use this template, you can create a magnificent website choosing from over 35 ready-made HTML5 pages. Multiple Header and Footer Layouts and 3 Blog Layouts provide you with a possibility to experiment with the look of your page until you find your perfect style. Your clients will be impressed by the Live Search and Booking Form options that facilitate the process of their finding classes. 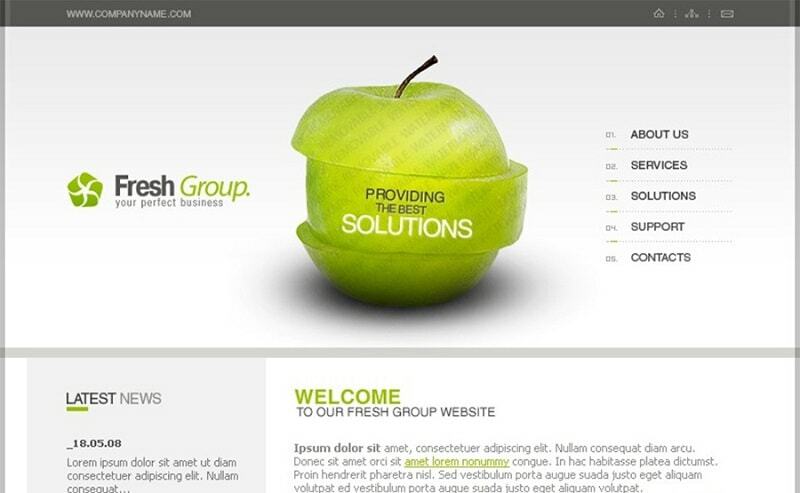 This template is characterised by rich functionality that is combined with uncluttered layouts. You can evaluate the responsive design at different screen resolutions to make sure that your content will not be influenced by the type of a device that your customers prefer. 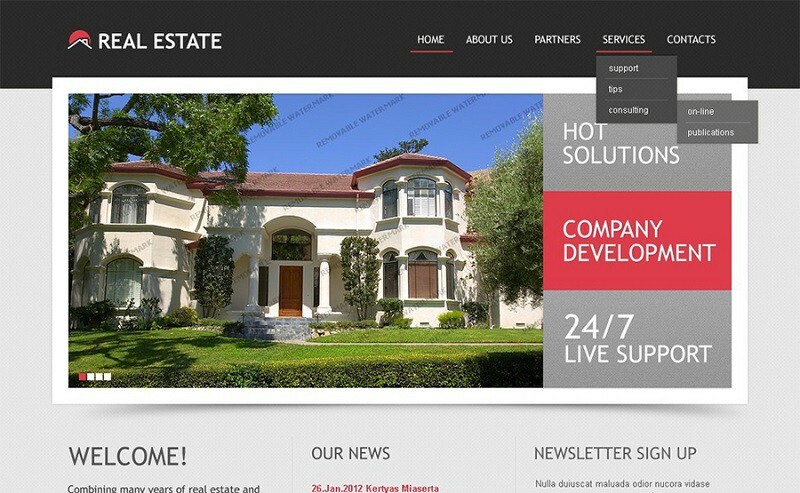 To sum up, Premium webpage templates come in great variety and provide you with unlimited amount of options to choose from, while you are restricted in your use of free templates. You can download and try a free website template to make sure that you like it before purchasing a Premium template. 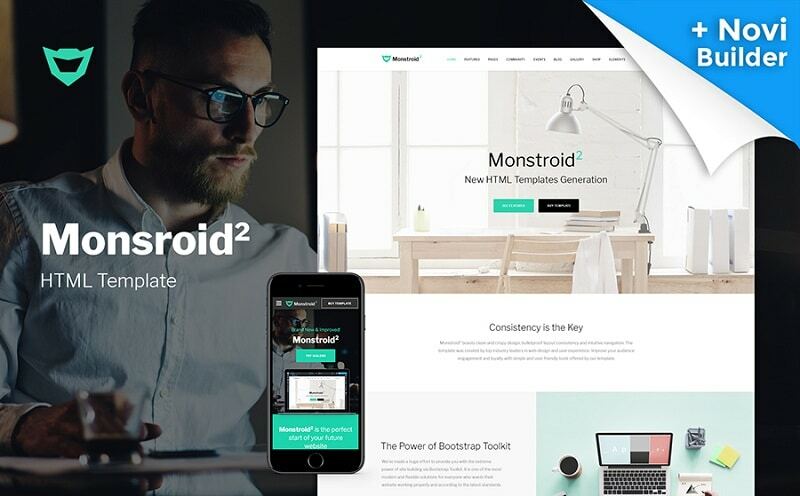 Feel free to learn more about various templates of TemplateMonster and to look at their advice, including how to make your first money. Thanks for covering them up! Glad you liked this list of business templates. Awesome collection. Monstroid2 and Soho are my favorites among them. They are cute and elegant. I like those too, Manoj.